Three Rajahs. Three rulers of Manila. Three great men. Before there was Spain sovereignity in the Philippines, there was a glorious Manila. According to popular historical write ups, Rajah Matanda and Rajah Sulaiman(or Soliman) ruled Manila and Rajah Lakandula ruled Tondo. All three of them are blood related. Lakandula and Matanda are brothers, and Sulaiman is their nephew. It is hard to guarantee the kingdomship of the rulers, but the definite thing is these three are the lords of Maynilad. Maynilad was a stronghold. The kingdoms are big, their powers are influential. They are descendants of the royalties in Brunei. People pay tribute, sailors and traders pay anchorage. 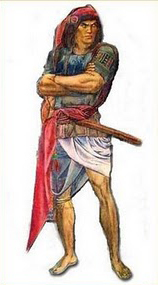 The Spanish conquistadors had its sights on Maynilad and wanted to occupy the area. Compacts and treaties were made, between the conquistadors and the rulers but due to non-conformity to agreements by the conquistadors, tension sparked ensuring uprisings and revolts. Eventually, Spain had it her way completely. 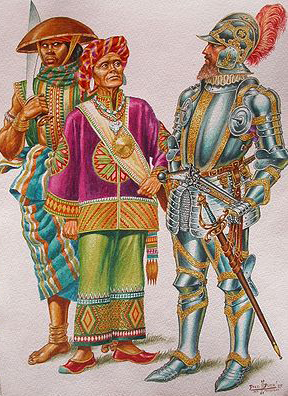 The fearless Rajah Sulaiman engaged Spanish forces and due to superior technology of the conquistadors, his army was defeated and the rajah was killed. Same thing happened to Rajah Lakandula, but the ruler of Tondo perished under the hands of Limahong, a Chinese pirate as some historians say. For fear of the lord of Manila, it was only after the death of Rajah Sulaiman, did Spain declare Manila as the colonial capital. I never knew that Tondo and the nearby areas has been very historical before the colonization. Not much has been written or discussed or emphasized on the history books. It was like an area of Philippine history not everyone appreciates or may have forgotten. But the warrior spirit lived on in Manila and Tondo. It was in Tondo that the fiercest and the brightest Philippine heroes emerged and grew up, and became Katipuneros. Even to the present day, many of residents of Tondo are notoriously brave and fearless.